Matchbook is not a fixed odds bookmaker, but rather an online sports betting exchange. The betting provider has been online since 2005 and at the time the sportsbook was one of the first betting exchanges on the Internet. They might not have been in this business for a long time, but they know quite well what punters want from an exchange. Our Matchbook review will examine the advantages and disadvantages of the sportsbook that is based in Alderney. Some aspects that will be looked at are: The Matchbook welcome bonus offer, the different methods of payment, the customer service, the legitimacy and, of course, the sports selection. As a new customer you will get a cashback of up to £500 during the first five weeks. Bets can be made on any betting markets and at any odds. Place live bets on matchbook. Signup for free! Bet on all mayor Horse Racing events in UK, Irland and South Africa! At Matchbook you can place bets on more than 20 football leagues! Matchbook is a betting exchange, which means that users set their own odds and bet against each other instead of against the bookmaker. In fact, the bookmaker acts as an intermediary. Contrary to traditional sportsbooks that earn money from lost bets, Matchbook is a platform that charges commission on the transactions. Established in 2005, they now offer the lowest commissions in the betting sports industry according to our Matchbook review. In fact, average commissions are at about 1.5%. For punters, this means that the possibility of making money is greater at Matchbook. Regarding legitimacy, the betting exchange is based in Alderney, where it is regulated. In addition, they hold a UK gambling license as well. The welcome offer for Matchbook customers is a cashback of up to £500 during the first 5 weeks following registration. This Matchbook offer is only available for customers that are at least 18 years old. Once you have registered on the Matchbook website, you have to make a deposit. Please note that only deposits made by debit or credit card will count towards the Matchbook welcome bonus. Qualifying bets can be made at any odds on any Matchbook betting markets. Any commission paid during the five weeks following your registration will be paid back to you up to a maximum amount of £500. There is no promotion code for this Matchbook bonus. Our Matchbook review has scrutinised the bonus offer and drawn up step-by-step instructions that are easy to understand. By following them, you will be able to obtain the bonus without any problems. Step 1 – Registration: Go to the Matchbook homepage and click on the red “Log in/Join” button at the top right. Once the log-in form opens, click on the red “Join now” button at the bottom. Fill in your personal information in the registration form. Step 2 – Making a deposit: After confirming the registration, you will be redirected to the Deposit section. Make a deposit. There is no minimum amount to qualify for the bonus offer. However, only deposits made by debit or credit card are eligible! Step 3 – Fulfil the promo code conditions: This bonus is actually a cashback offer. So you must start placing bets. You will receive 1 Matchbook Point for every £1 of commission. Once you have accumulated 5 Matchbook Points, you will get £5 cash, up to a maximum total of £500. This only applies to bets made during the first 5 weeks. Step 4 – Receive your cash refund: All cash refunds on your qualifying bets will be credited to your account within 48 hours. During our Matchbook review, there were no other offers for existing customers at the betting exchange besides the welcome cashback offer for new customers. At the Matchbook Casino though, there was a Matchbook 200% Welcome Bonus: When you buy in for £20, you receive £40 and end up playing with £60. In addition, existing customers have access to a variety of match bonuses, slots reload bonuses and live dealer bonuses. Not only is the market selection wide, but its depth is surprising. At Matchbook you have the option to bet on who scores the first goal, the number of corners during a match and many other details. Even though Matchbook offers live betting, there is no live streaming of sports events. Regarding the odds, as a betting exchange, Matchbook does not set them. The users themselves are the bookies, so odds can vary tremendously. In fact, Matchbook only charges an average commission of 1.5%, which is quite low when compared to industry standards. The rate of the commission depends on whether you are backing or placing a bet. In the UK and Ireland, customers are currently charged 1.7% for bets that are accepted and 0.85% for posted offers. The Matchbook review shows that the betting exchange is solid and safe. Even though Matchbook may not be adequate for sportsbook beginners, whoever wants obtain outstanding odds is certainly at the right place here. Moreover, the low commission of 1.5% in average is a selling point. The valuable licences from Alderley and the UK are definite indications that Matchbook is a serious online betting provider, which is constantly monitored. In addition, the betting portfolio offers enough diversity, even though it might not be as large as the top bookmakers in the business. The lack of live streaming is certainly a minus point, but the in-play section is easy to use. The customer support is competent and friendly. All in all, a very good sportsbook. According to our Matchbook review, the online betting platform offers different options for depositing and withdrawing money. All the major debit/credit cards are included, as well as some popular e-wallets (Neteller and Skrill) and bank transfer via Paysafecard. Matchbook does not charge any fees for depositing. The minimum amount for deposits is 5 GBP, except in the case of Neteller, then it is 10 GBP. In the majority of cases, your funds are available immediately. Step 1 – Go to the banking section of your account: First of all, log in to your Matchbook account. Then click on the “deposit” button at the top right of the screen. Step 2 – Select the desired payment method: Select the deposit option you prefer. Please keep in mind that in order to obtain the Matchbook Refund Bonus, you must use a debit/credit card for your deposits. Enter the desired amount and currency. Step 3 – Transact: Click on the “confirm” and your funds will be instantly available. The same options as for depositing are available for withdrawing. Once again, there are no charges for withdrawals at Matchbook. The minimum amount that can be withdrawn ranges from 5 GBP to 100 GBP depending on the payment method. With Skrill, Neteller and Paysafecard, the funds are normally transferred within 24 hours, or even less. For debit and credit cards, the process can take up to three (3) days. As a rule, your account must be verified before you can withdraw funds. Any question regarding the terms and conditions at Matchbook or any other queries can be answered by the customer service. If you cannot find an answer to your question in the FAQs listed on the website, then go ahead and contact the Matchbook support by calling them at + 44 203 627 0646 in the UK or +353 21 242 8626 in Ireland. 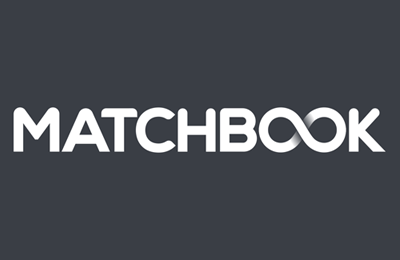 If you prefer writing, then the correct address would be accounts@matchbook.com. Queries are usually replied to within 4 hours. The Matchbook review preferred method to get in touch with the customer service is the live-chat. Even though it is not available 24/7, the open hours from 9 am to 3 am are more than sufficient. The response time is extremely fast and the staff is very competent. According to our Matchbook review, the sportsbook regularly publishes updates, insights, news, a TV guide and videos about various sports events on Facebook and Twitter. There does not seem to be any promotions offered on social media though, besides the promotion of the Matchbox welcome bonuses. Reliable or scam: How safe is Matchbook? Another important characteristic is that this sportsbook is committed to Responsible Gambling. On the website, you will find direct links to GamCare, Gamblers Anonymous and Gambling Therapy. How can I register at Matchbook? According to the Matchbook review, opening an account can be done within a few minutes. First, click on the “Join now” button at the top of the page and fill in the information required such as username and password. Before submitting the form, you must have read and agreed to the Matchbook T&Cs. Does Matchbook use encrypted connections? Yes, it does. Matchbook uses encryption systems, such as SSL, and a secure https channel for any sensitive data that is transmitted from your computer. Is there a Matchbook App? Yes, there is. The Matchbook App can be downloaded for the iPhone and Android devices. In addition, there is an app for both the Apple iPad and Apple Watch. No matter where you are, you can still place Matchbook bets via the mobile apps. Can someone else make a deposit on my behalf to Matchbook? No, that is not possible. In compliance with the rules of our regulating authorities, all deposits must be made by the owner of the Matchbook account, using the methods of payment that were registered in the account, in the name of the account holder. This is also why your account is verified before you can make a withdrawal to ensure that the right person will get the funds. Can I open a Matchbook account from anywhere around the world? No, you can’t. If you reside in the USA, Australia, Canada, France, Slovakia, Spain, Portugal or Italy, you cannot sign up with Matchbook. Furthermore, bets cannot be placed from these countries even though you have created an account elsewhere.